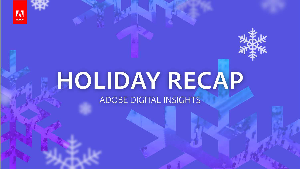 See the 2017 retail holiday recap for learnings you can use while planning for Holiday 2018. Get the trends from last year’s holiday season so you can predict your results this year. Find out why Black Friday online sales are expected to surpass Cyber Monday’s, why bigger retailers are stealing online share from smaller retailers, and why search advertising and mobile optimization should be your top priorities this season.